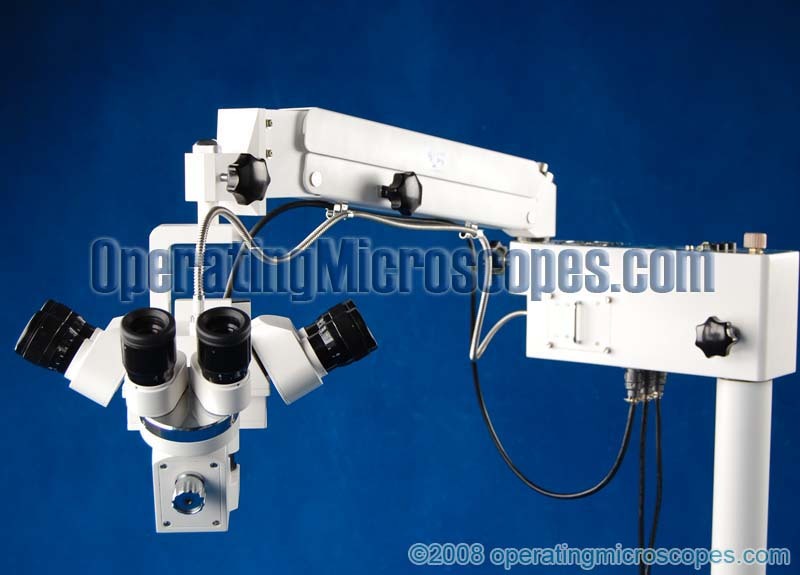 This model of operating microscope can be used for both ophthalmic and orthopedic microsurgery. 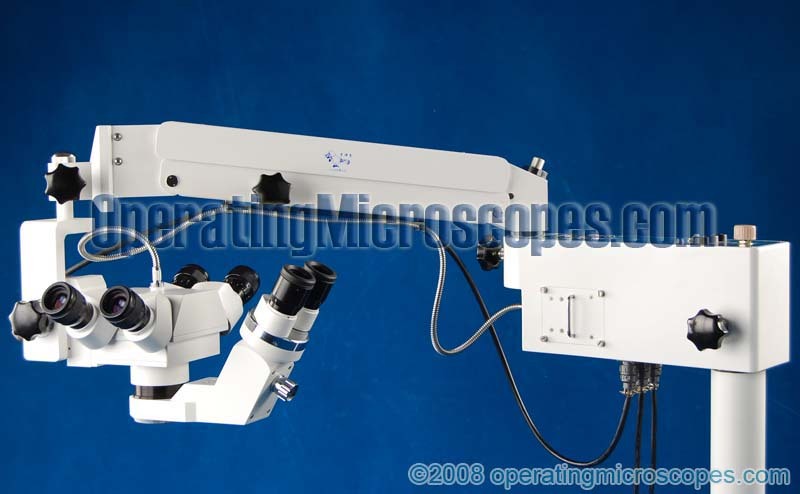 This model is similar to model MS-134 but instead of having a beam splitter, it has a binocular teaching head assembly, allowing a third observer/assistant to view the microsurgery simultaneously. 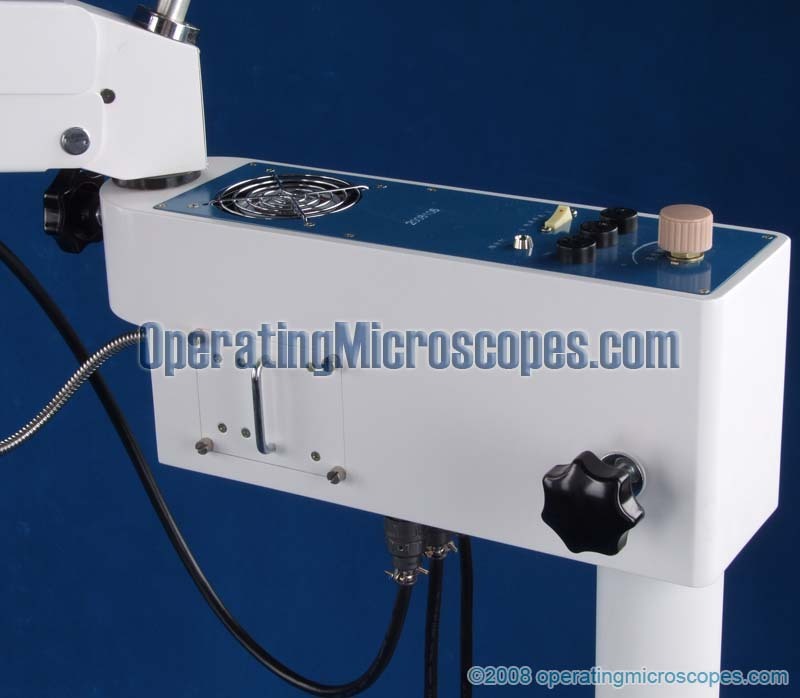 This model does not have an option for a beam splitter, ccd camera adapter, and ccd camera. 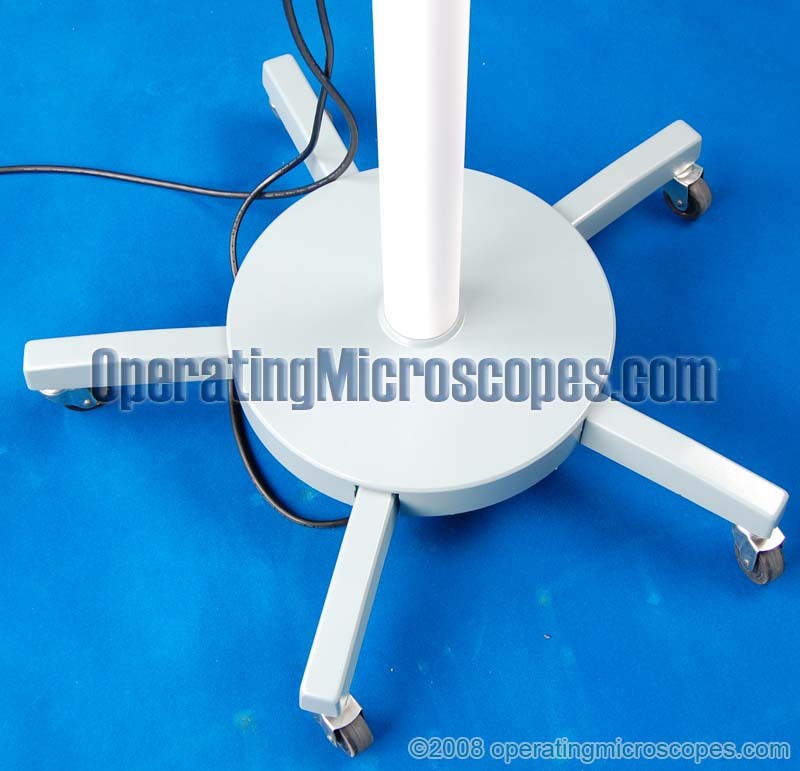 The main feature of this surgical microscope is the motorization of the focusing. 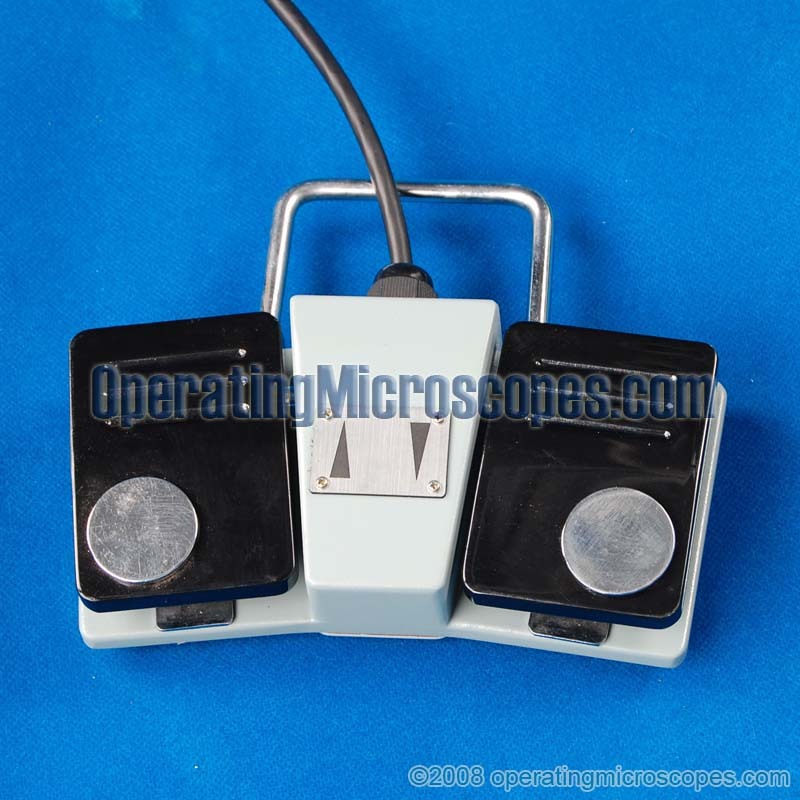 The controls are on the foot pad. 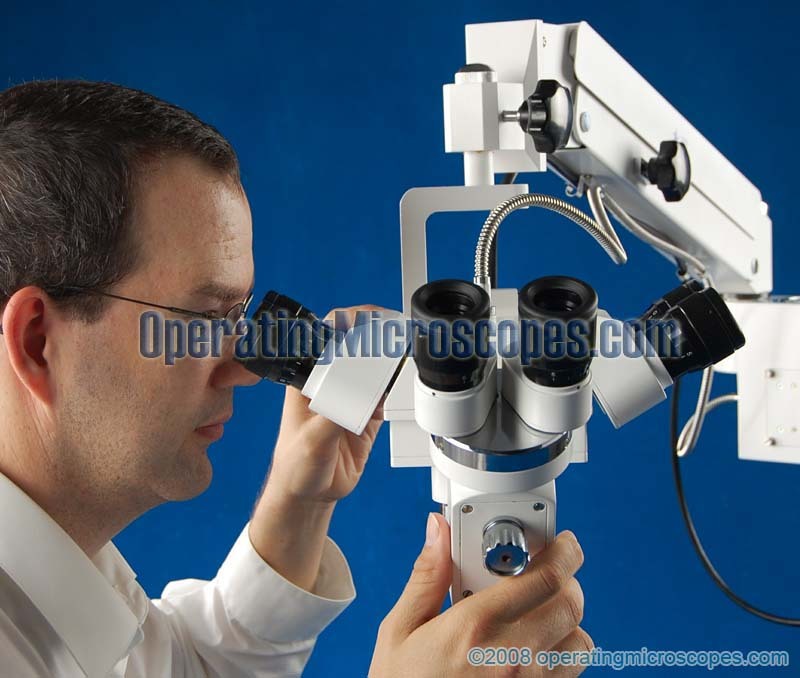 The two identical binocular heads are for two surgeons to simultaneously view the operating procedure. 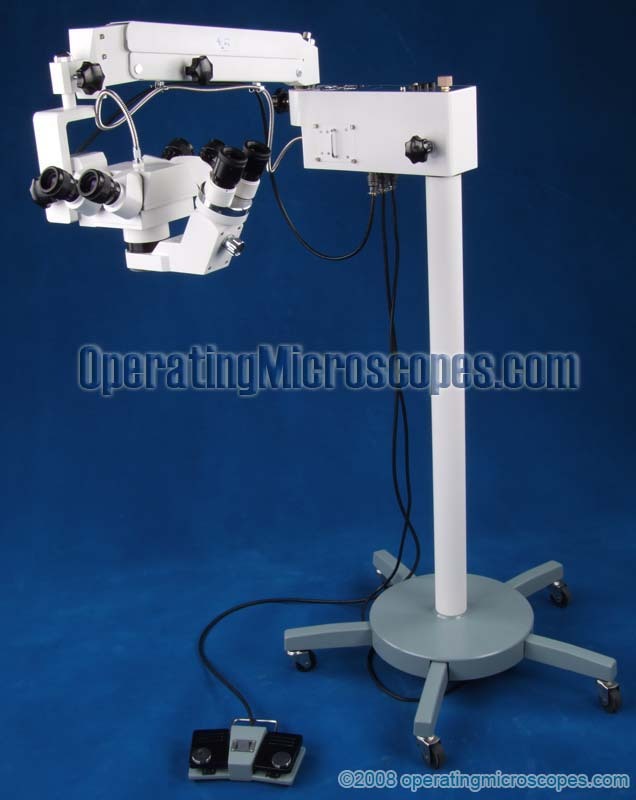 One head would be considered the main surgeon’s head and the other would be the assistant (also called teaching) head. 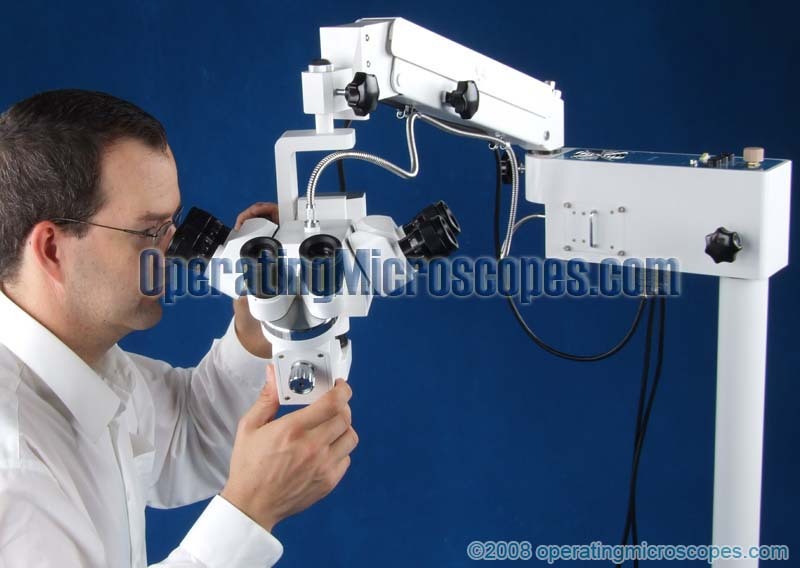 The third binocular head is for an additional surgical assistant or physician in training to view the operation procedure. 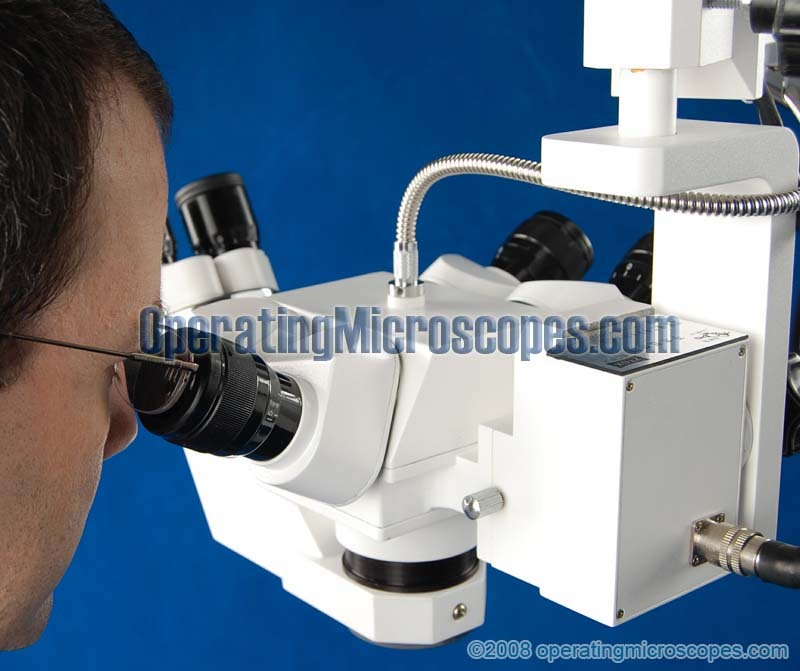 The dual binocular heads each have a single fixed magnification of 10x using the included f200mm focal length bottom objective lens. 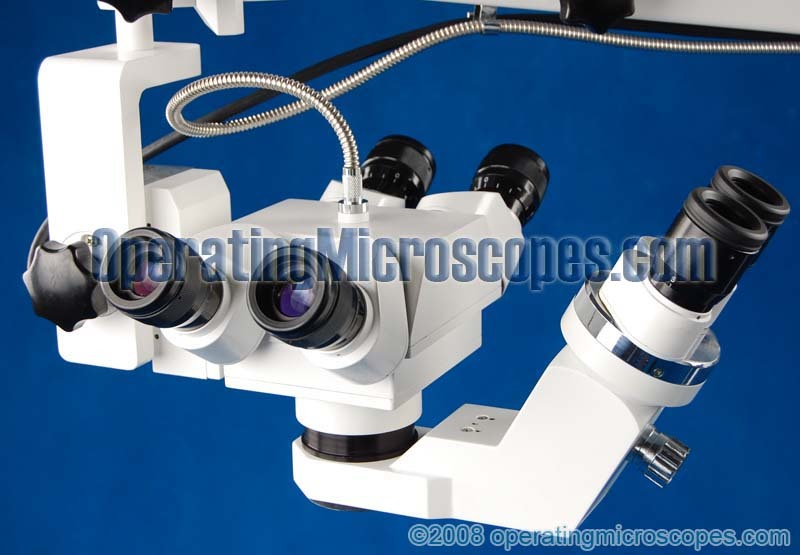 If an optional f250mm objective lens is used, the magnification is changed to a fixed 8x. 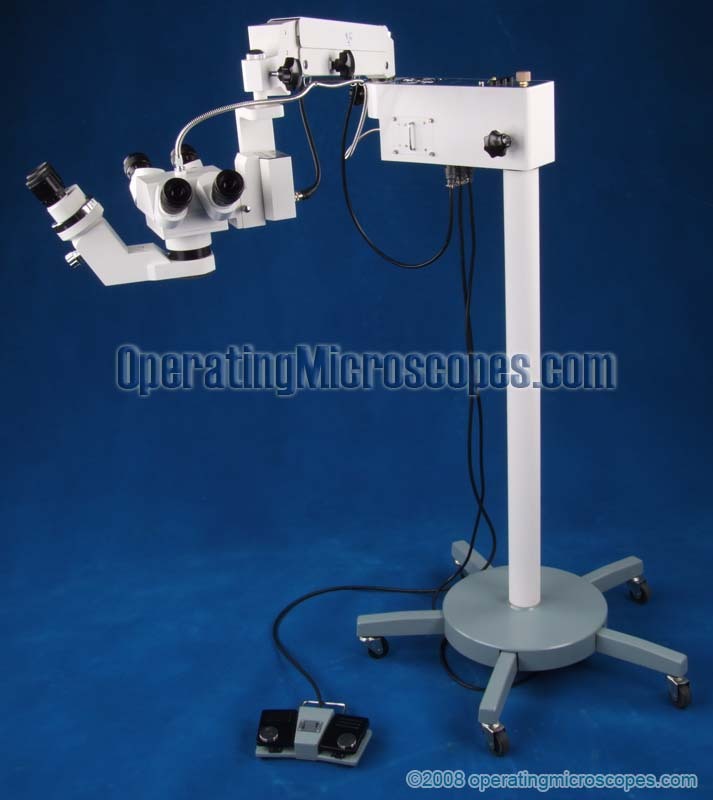 It does not have selectable magnifications and does not have zoom optics. 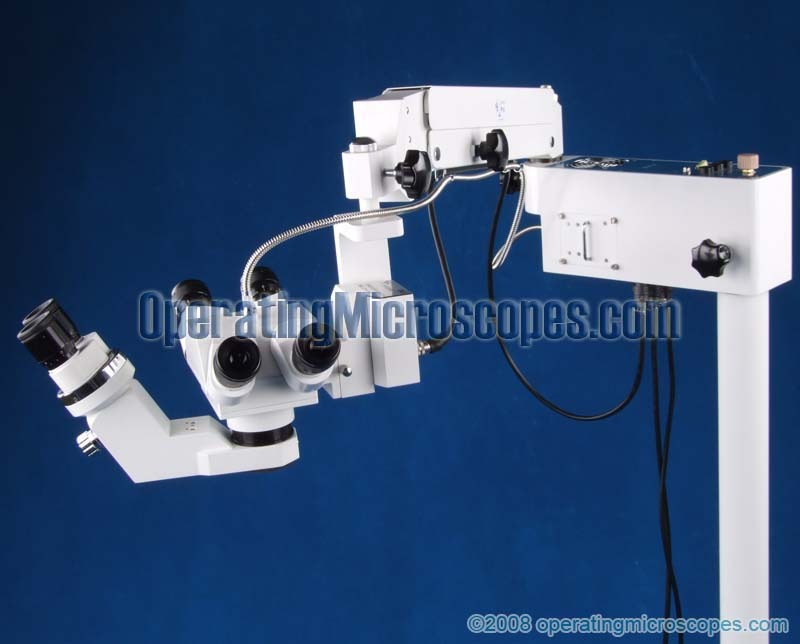 The single binocular assistant head has a fixed magnification of 4x. 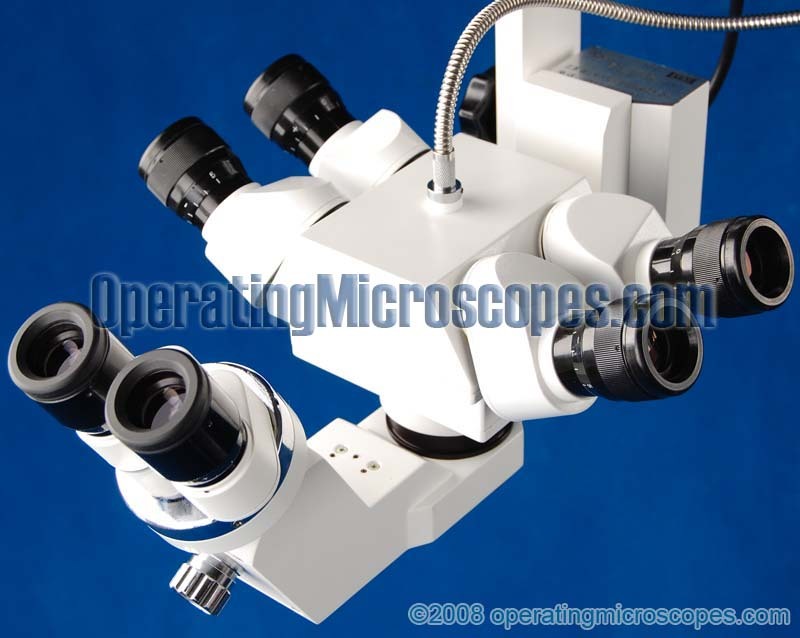 This magnification is not altered when the dual binocular heads change their objectives (options are f200mm and f250mm).